It's the defining feature of our society – the way the world is getting faster, faster. But why's it happening? And where will it end? 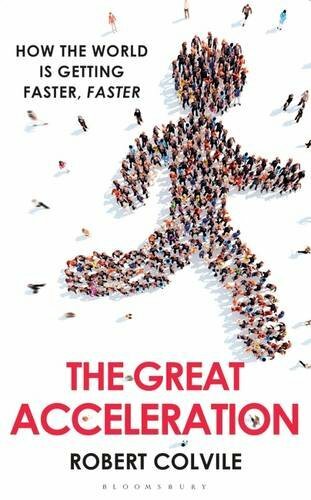 In 'The Great Acceleration', I explain how the cult of speed marched out of Silicon Valley to conquer the world, and explore its consequences for our brains, our bodies and our children. The book traces the effects of acceleration across our social and love lives, politics, the media, the financial markets, and the natural world. It's the most exciting process in the world, and one that will make all of our lives better – but also one that brings extraordinary turbulence in its wake. The book has been Book of the Week in The Times, the topic of a lively debate on Start the Week, hosted by Andrew Marr, and the subject of news stories and opinion pieces in the Mail, Times and Independent. (I've rounded up the coverage here.) I've also written about it for the Economist's 1843 magazine, the World Economic Forum, Politico, the Evening Standard, the Guardian, the Telegraph, the Observer, the Sunday Times and others. If you want me to talk or write about the book, just get in touch.